3rd July to 30th August 2015. This intense programme changed every other day during the months of July and August. Robert Filliou et Marcelline Filliou, Maya Bajevic, Jeremy Deller, Sharon Kivland, Cécile Benoiton, Laurent Moriceau, Pierrick Sorin, Jean Bonichon, Alain Biet, Nicolas Floc’h, Marcel Dinahet, Dector & Dupuy, Laurent Tixador, Regis Perray, Boris Achour, Olivier Dollinger, Eric Madeleine, Paul Pouvreau, Hugues Reip, Jacques Julien, Michel Blazy, Florence Paradeis, REP Group, Sven Augustijnen, Fédérica Peyrolo, François Courbe, Patrice Carré, Babeth Rambault, Stephane Bérard, Francesco Finizio, Dan Shipsides & Neal Beggs, Ivan Argote, Erwan Venn, Jacques Halbert. Part of the festival ART EST LA CHOSE. Curated by Anabelle Hulaut and David Michael Clarke. With the support of the Centre Georges Pompidou, FRAC des Pays de la Loire, FRAC Bretagne. 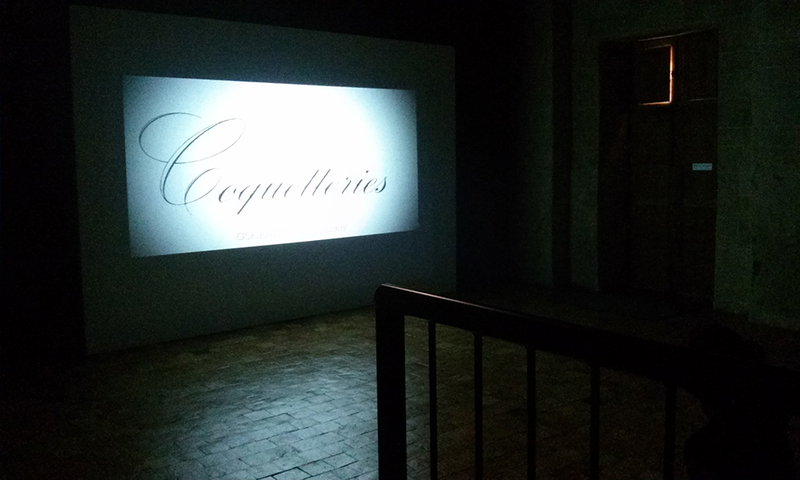 Coquétteries by Sharon Kivland. Gothic Cinema. Château-Gontier. 2015. 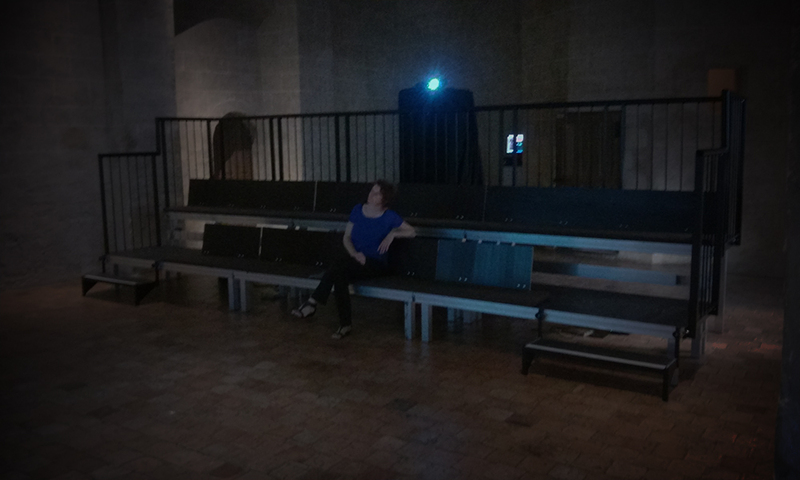 Anabelle Hulaut watching «Coquétteries» by Sharon Kivland. Gothic Cinema. Château-Gontier. 2015.